Please note, image displayed is version with cord. 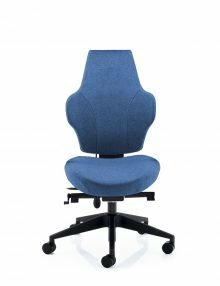 A tailor-made Arm Support with asymmetric design. 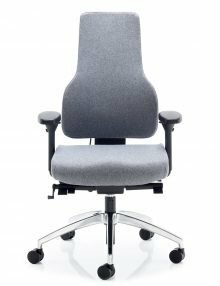 Designed for the Ergoslider Plus+ to fit perfectly in the top part of the arm rest. 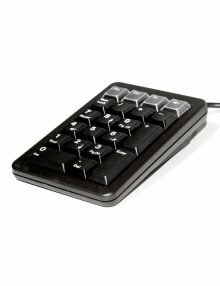 Separate keypad with four additional, freely programmable, relegendable keys. USB Version with PS/2 Connector. The Cirque Easy Cat Touchpad makes it easier than ever to control your computer. 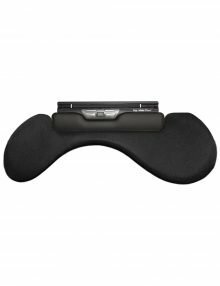 Simply glide your finger over the smooth surface to point, then tap on the pad or press on the buttons to click. Activate vertical scroll by simply gliding a finger along the right edge of the touchpad. This touchpad works out of the box with all native Microsoft Windows® operating systems. No drivers required. 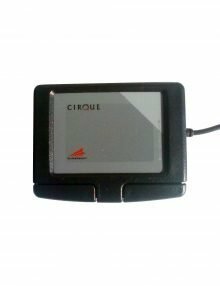 The Cirque Smart Cat PRO® adds the flexibility of programmable hotlinks. 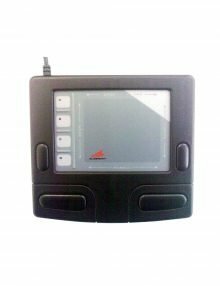 These one-touch zones can be independently programmed to: execute programs/commands, open files, control browser functions, assign (toggle) mouse actions and control cursor modes. Basic mouse functions too are easy to control. Access right-clicks by tapping a finger in the touchpad’s upper right corner. 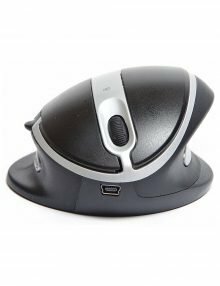 With intelligent software, one-touch scroll and zoom, and distinctive sounds for each operation, the Cirque Smart Cat® combines all the power of a top-of-the-line mouse with the unrivalled comfort and durability of a touchpad. 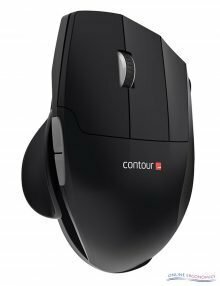 Contour Mouse is ergonomically designed to support your hand comfortably without the need to clutch the mouse to control it. Excessive clutching and finger flexing can aggravate the hand and wrist resulting in repetitive strain injuries. 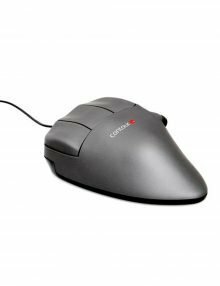 The mouse has a thumb support and helps RSI sufferers by easing pressure on the wrist. The table below is an aid to help you determine what Perfit Mouse Optical size you will need. You should measure your hand size using a ruler and compare the result to determine the recommended size. Compare your measurement with the table below. Note: If your hand measurement is between two sizes and you have a relatively thin hand, select the larger size. If you have a thick palm you should choose the smaller of the two. quality but with more features. for more precise cursor movements. It also has a sturdier aluminum base and a quieter click. back in most Internet browsers. 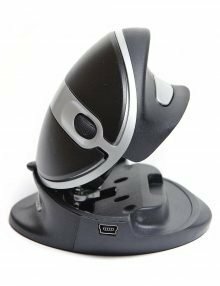 RollerMouse Pro3 is developed for demanding tasks that requires repetitive movements. 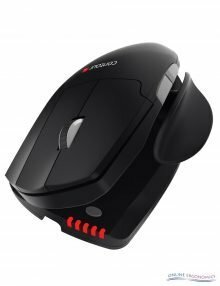 Pro3 is a great option for professionals and anyone else who uses a mouse for long periods every day. Sitting below your keyboard, Pro3 eliminates the need to reach for the mouse, lessening stress from your neck to your fingers. 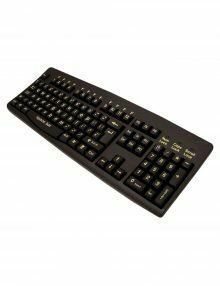 The width of this RollerMouse makes it especially suitable for standard or full-­size keyboards for comfortable typing. Experience unrivalled feel, speed and pinpoint accuracy from one good-looking ergonomic mouse. Solid, sleek and durable aluminium houses Contour’s 7SENSES™ tracking technology. 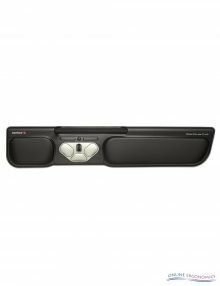 Thicker and textured roller bar for increased feel and cursor control. Eight key functions made for productivity and ergonomics, including the “one touch” double click, copy and paste. 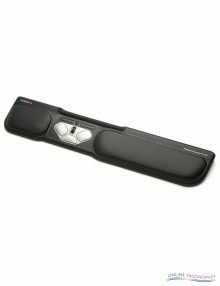 Aluminium body with detachable leatherette wrist rest Plug and play USB installation – no driver required Compatible with Apple OSX, Apple Mac OS 8.1 or newer, Microsoft Windows 10/8/7/Vista/XP/ME/98 and comes with a 2-year warranty. 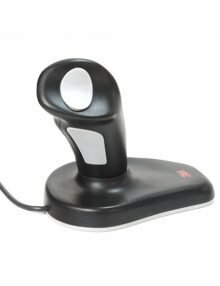 The most revolutionary ergonomic pointing device on the market. Wired or Cordless, Medium or Large versions. Switchable for both right and left handed use. 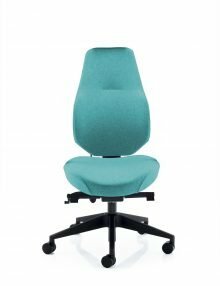 Adjustable to 5 different angular positions for ultimate comfort. 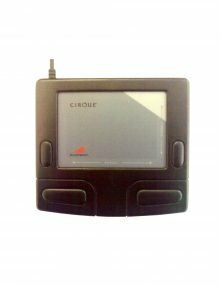 6 buttons and a scroll wheel. Just plug and Play… no messy software downloads. 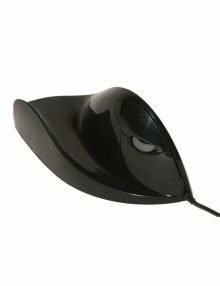 The E-Quill-AirO2bic™ as the first and only Grip-Less™ mouse, makes it possible to move the cursor without having to use the small and easily over-worked muscles required for ‘holding’ the mouse. 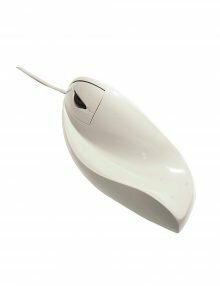 The E-Quill-AirO2bic™ is also the only mouse product that controls the extent of bending the wrist. By bringing the lower arm and wrist in the shake-hands position, not only the twisting in the lower arm (pronation) will be prevented, but the lifting of the wrist (dorsal flexion) as well (necessary to hold a regular mouse).